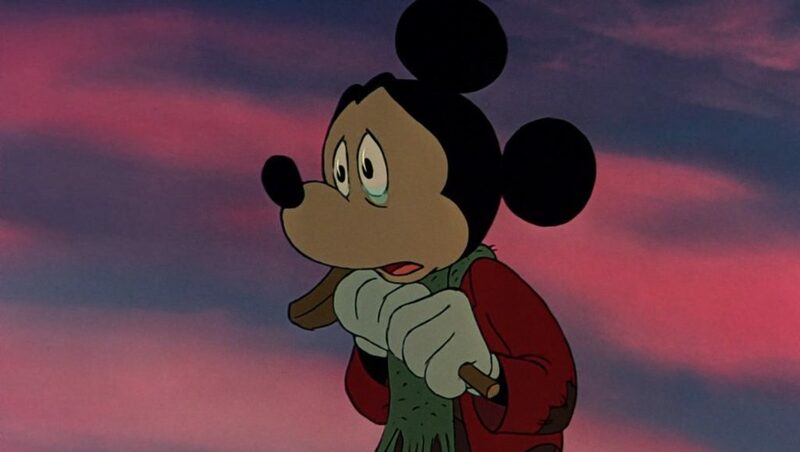 Here’s a quick pointer as to why Mickey’s Christmas Carol might be my favorite Disney thing ever: the way Mickey Mouse (as Bob Cratchit) cries when at the grave of his son Tiny Tim is laid to rest. …he grips that cane like it is his son. It’s all that’s left. I remember being 15, waking up and being told my grandma died just a few hours earlier. My face bunched up uncontrollably just like that. Sometimes when I cry, if it’s especially hard, my face will squeeze itself like that. It’s very rare, but happens… let’s say, once every couple of years. Buddy of mine died a couple of years ago and I think that was the most recent time. I had red little spots all over my face afterward and stuff. Man, I miss him. But I digress. Point is, that’s exactly what we do in the immediate aftermath of a loved one’s death. Sometimes not just the immediate aftermath. The math period can go much longer than just right after. 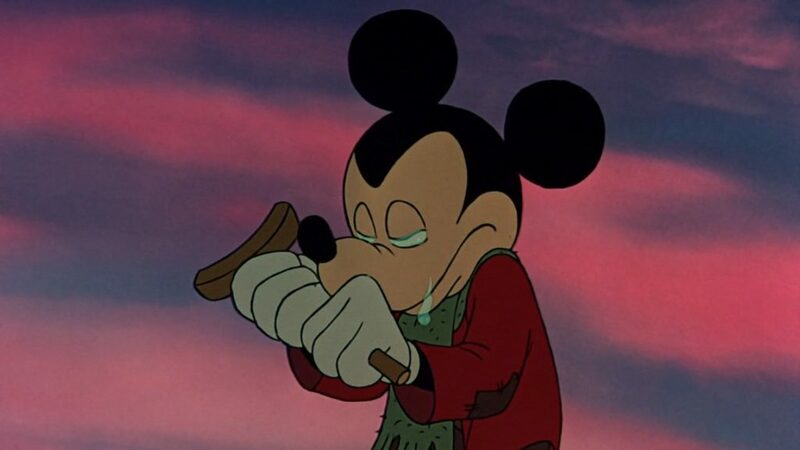 Mickey’s Christmas Carol is one of the best winter specials you can watch, for this moment as much as any other. Maybe I’ll write more about the rest of it at a later time, but that “maybe” right there is me adding a safety net for myself, because I know that there’s like a 0.0004% chance of me ever doing that. It’s a little late for Christmas, but if you’re like me and having your celebration on the 28th, then hey, it’s still in time for you. I just found 8-Bit Hymnal 2: Christmas, and I find it to be a delightful mix of chip tunes (think “sounds like Nintendo”) and classic Christmas songs. You can get it for free but I recommend leaving a tip for the creator. He went to all that work to make something that we can enjoy for years, plus, hey man, it’s Christmas. Still. The sentences these kids are using (scripted) are very basic, and Spanish and English are similar enough to begin with, but the thing has to start somewhere. This is an interesting little video that previews the future of Skype and, well, maybe the future of… the future. I’m gonna be an actual author!